William Morrow Paperbacks, 9780061214608, 336pp. Joanne Harris is the author of seven previous novels—Chocolat, Blackberry Wine, Five Quarters of the Orange, Coastliners, Holy Fools, Sleep, Pale Sister, and Gentlemen & Players; a short story collection, Jigs & Reels; and two cookbook/memoirs, My French Kitchen and The French Market. Half French and half British, she lives in England. 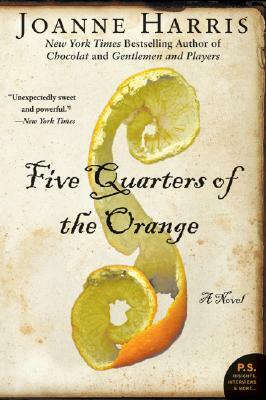 "The craftsmanship and emotional power of this novel...place Ms. Harris in the forefront of women writers." "Compelling . . . Harris once again revels in the smells and tastes of French food."